BUFFALO -- Glen Stacharczyck, 53, of Buffalo, pleaded guilty to RICO conspiracy, before U.S. District Judge Elizabeth A. Wolford. The charge carries a maximum penalty of 20 years in prison and a $250,000 fine. Assistant U.S. 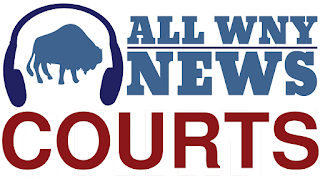 Attorneys Joseph M. Tripi and Brendan T. Cullinane, who are handling the case, stated that the defendant was a member of the North Tonawanda Chapter and the South Buffalo Chapter of the Kingsmen Motorcycle Club (KMC). KMC members and associates used and distributed marijuana, cocaine, methamphetamine, and other controlled substances at the North Tonawanda and South Buffalo KMC Chapter Clubhouses. KMC members were also involved in firearm sales. The defendant also possessed firearms. Stacharczyck is one of 20 KMC members and associates charged in this case. To date, 16 have been convicted, including National President David Pirk, who was recently convicted following a four-month jury trial. Charges remain pending against five other defendants. The fact that the defendants have been charged with a crime is merely an accusation and the defendants are presumed innocent until and unless proven guilty. Sentencing is scheduled for December 12, 2018, at 10:00 a.m. before Judge Wolford.